In terms of major console companies, Sony has a reputation for big leaks. The PSP Go, PlayStation All-Stars Battle Royale, and a huge number of other games and hardware releases have all been made public well before the company was ready for them to be out there. It even looks like the PlayStation 4 controller made it onto the Web before Sony’s big press conference, scheduled for tomorrow, to discuss the console. For as leaky a ship as Sony is, it doesn’t have as many issues keeping full games from leaking before their release as Microsoft does. The latest major game published by Microsoft to “hit early” is Gears of War: Judgment, and, as the company is wont to do, it’s banning players from Xbox Live when they’re caught playing the game. It’s not clear if Microsoft is permanently banning early Judgment players, though their infraction is seemingly worse. Many Halo 4 players purchased the game early from legitimate retailers and were still banned. 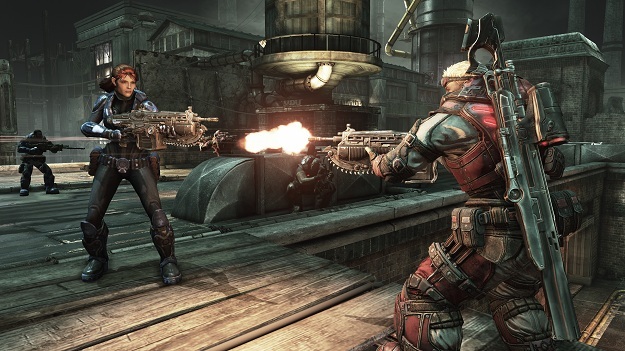 Gears of War: Judgment hasn’t been released early, but the game data itself has been leaked to torrent websites across the Internet.